Pheromones, instinctive and powerful hormonal signal! Your body naturally sends out sexual messengers called pheromones: hormonal "smells" so subtle that you don't even notice them, but however so powerful that they can alter your body language and lead to an instinctive response from your partner(s). Pheromones are Nature's most irresistible sexual signals and they exist in all species: plants, insects, mammals and human beings. According to William Regelson, MD, professor of Medicine at the University of Richmond, Virginia and author of the bestsellers "Super Hormone Promise" and "Melatonin Miracle," "Increasing pheromone production does more than induce an immediate attraction......Their principal role is to bring us closer for reproduction. Pheromones govern attractiveness, empathy, sexual interactivity and they can even "stabilize" affective relations. Unfortunately, pheromone production decreases with age, along with that of other essential hormones. Supplementation enables to feel more desirable and attractive, and, above all, to improve the image one has of oneself. It also enables the subconscious to maintain its ability to react to sexual signals and to associate a long-term relationship with passion and pleasure." Bring others to "smell" your presence, even though you do nothing in particular for this. Help you to establish contact more easily. Improve your self-confidence and your social interactivity. Feel sexually more attractive and available. Attract others to you without saying a word, and predispose them favourably to you. Rekindle the flame with your partner or enrich your social life. Eroscent™ is not a perfume, nor an aromatherapy product: it is a powerful hormonal signal which directly stimulates your limbic system ("primitive brain") and which is aimed at specific receptors situated in the nose: the vomer-nasal organ. As Eroscent™ does not need to be digested nor carried by the blood, its effect is nearly immediate. Apply Eroscent™ under your nose and directly influence the region of the brain which controls emotions, moods and desires to improve your assurance, to stimulate your libido, to generate new possibilities for romance and to improve your well-being! 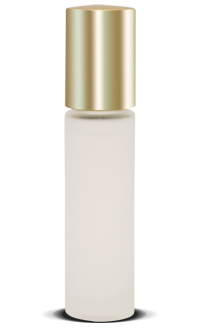 Eroscent™ is packaged in a small, smart and practical roll-on dispenser. Apply a few drops under your nose: its effect lasts for about 4 hours. Each bottle allows for around 3 months of multi-daily use.